Leverkusen – German specialty chemicals company LANXESS has just started piling for a premium iron oxide red pigments facility in Ningbo.LANXESS is investing EUR 55 million in the plant, which will have an initial capacity of 25,000 metric tons annually. With the start of the piling process, the construction work is proceeding right on schedule. New red iron oxide pigments will be introduced to the global market in the first quarter of 2015. 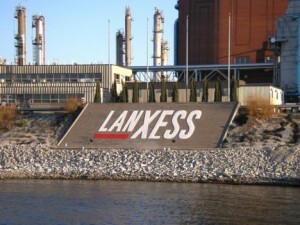 Through its new plant, LANXESS will create 150 new, jobs in Ningbo. At the LANXESS site in the Ningbo Chemical Park, the construction of the foundation for the future production and administrative buildings has begun. Almost 2,000 piles will be set to support the buildings’ foundation. “The plant expands our global production network for inorganic pigments and enhances LANXESS’ position as a leading supplier of sustainable pigments with outstanding properties and performance. It also further complements our product portfolio and allows us to be better positioned to meet the growing market demand not only in China, but globally”, said Joerg Hellwig, Head of LANXESS’ Inorganic Pigments business unit. The company will market the new yellow shaded red pigments worldwide under the well-known brand Bayferrox. Key customers are manufacturers of paints and coatings. Furthermore, the construction and plastics industries will be supplied. “The Ningbo plant complies with the highest environmental standards. Using the Penniman red process and utilizing world-class environmental protection technology in China enables us to set a new benchmark for the production of iron oxide pigments. This all especially in terms of water treatment, waste gas cleaning and energy consumption”, said Natalie Chen, General Manager of LANXESS (Ningbo) Pigments Co., Ltd. The production site is located at the Ningbo Petrochemical Economic & Technological Development Zone, which features outstanding infrastructure and logistics facilities. Ningbo is China’s second largest cargo port and home to China’s largest terminal for liquid chemicals. LANXESS already operates one of China’s largest and most modern plants for inorganic pigments in Jinshan, Shanghai. This plant has an annual capacity of 38,000 metric tons of high-quality iron oxide yellow and black pigments each year. The Jinshan site supplies beside other LANXESS facilities the LANXESS milling and blending plant in Taopu, Shanghai for the production of high grade synthetic iron oxide pigments under the brand name Bayferrox. “We see an increasing demand for high quality pigments in China driven by the urbanization megatrend. The Inorganic Pigments business unit will continuously invest in providing premium products for local customers to participate in the growth here. At the same time we are always focusing in producing our pigments in the most environmental friendly way”, said Wolfgang Oehlert, Head of LANXESS Inorganic Pigments business unit in the Asia Pacific region. LANXESS Inorganic Pigments (IPG) business unit today has an annual capacity of more than 350,000 metric tons, making it the world’s leading manufacturer of iron oxide and chromium oxide pigments. 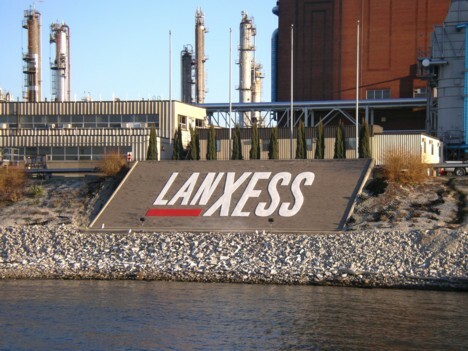 The IPG business unit belongs to LANXESS’ Performance Chemicals segment, which achieved total sales of EUR 2.2 billion in fiscal year 2012.